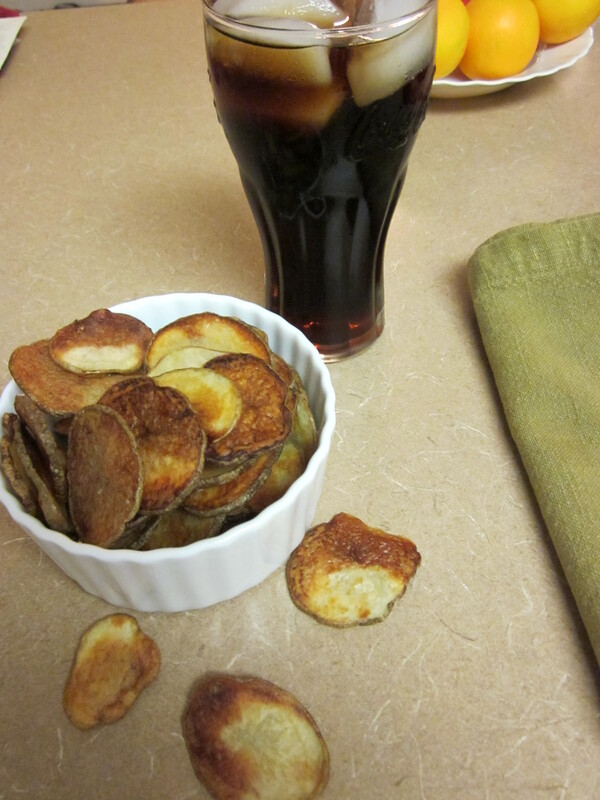 I love potato chips, but I do not like the fat and calories. 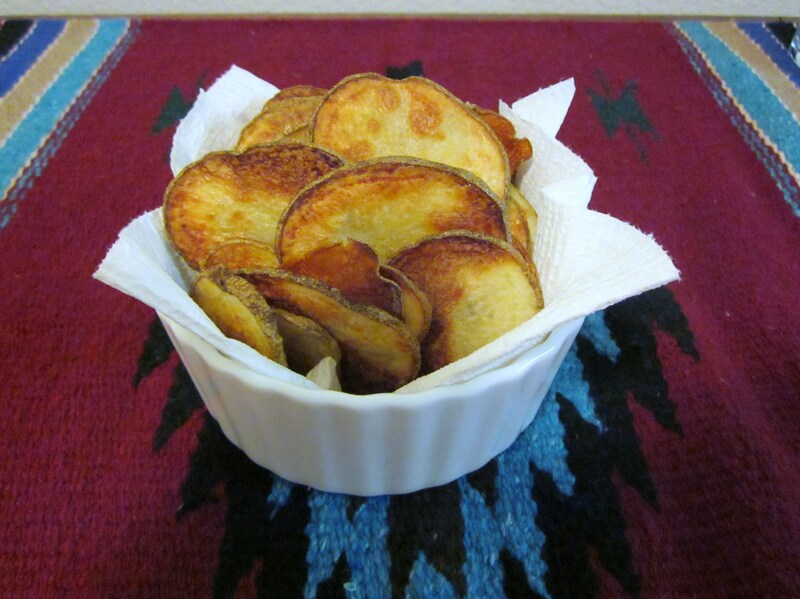 I tried store-bought baked chips, however they are not as tasty as the fried kettle chips. 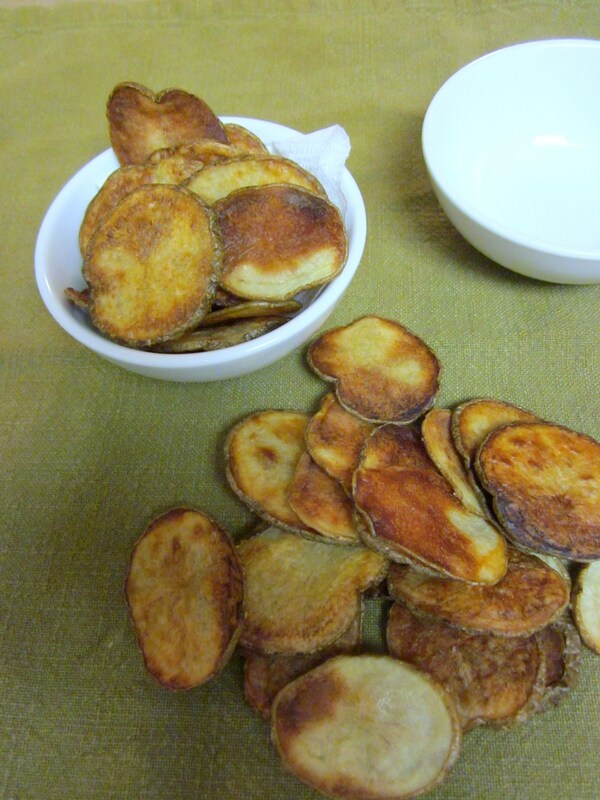 Here is a recipe I found a while back for Oven-baked chips. Wow! They are good. I have to admit that there is work involved, but these oven-baked chips are sure worth it. store in an airtight container for up to one day. 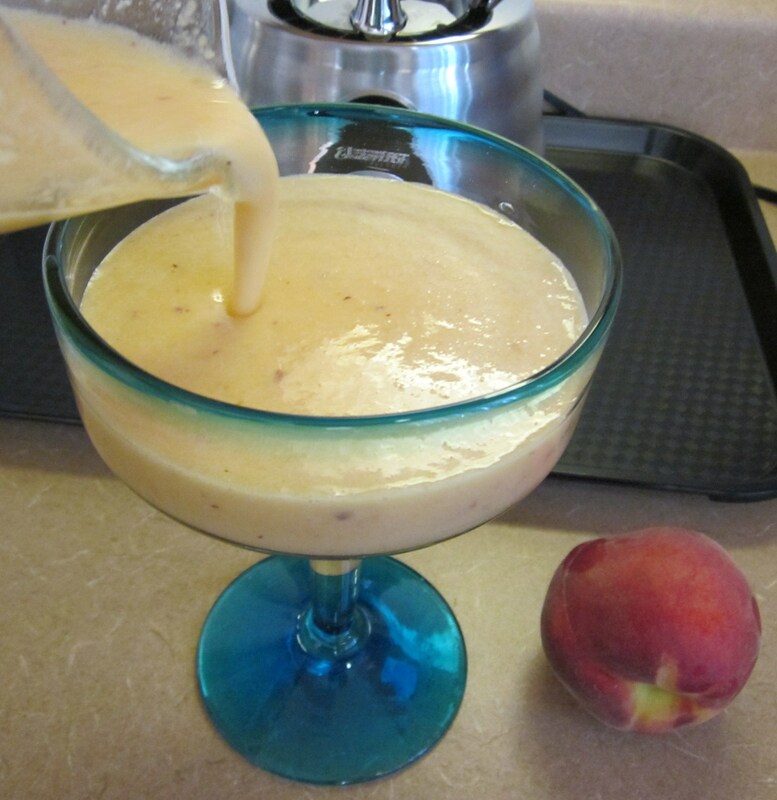 One of my favorite summer time drinks is a refreshing Peach Margarita. Made with fresh peaches from the Farmers Market. Such a sweet and satisfying drink for a warm summer day or evening. Serve this with tortilla chips and peach salsa! 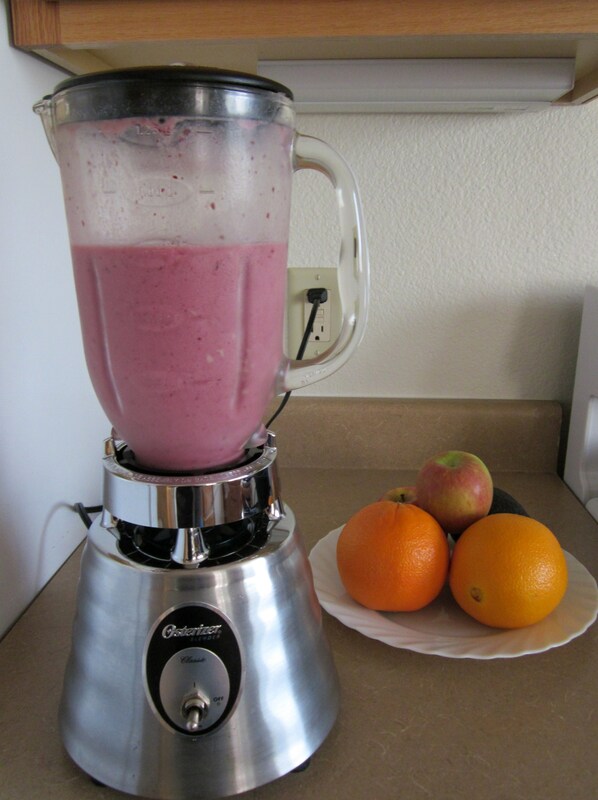 Blend above items in a blender on high until smooth. 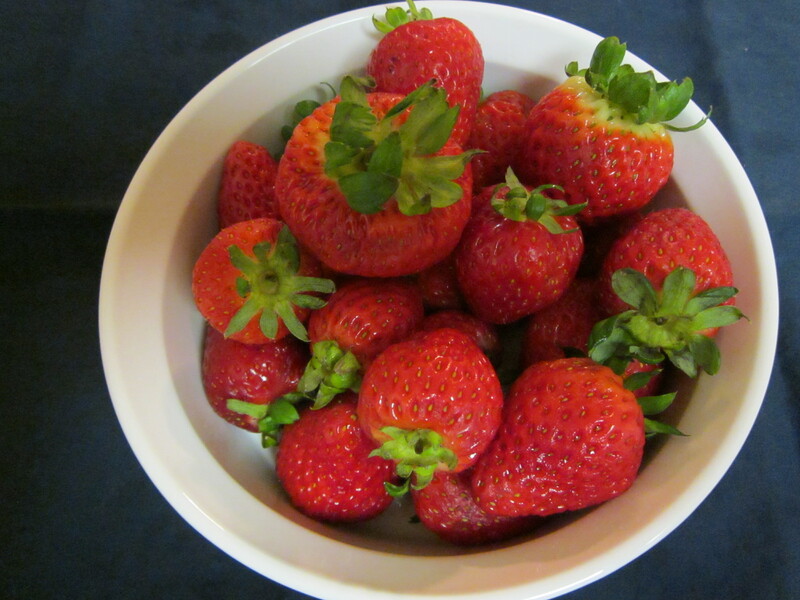 Want a healthy snack before an intense work out at the gym? Try the fat burning power of a protein and fruit smoothie, which also provides the needed carbs to fuel you through a tough gym session. one scoop of soy or whey protein. You can use any fruit you have on hand. 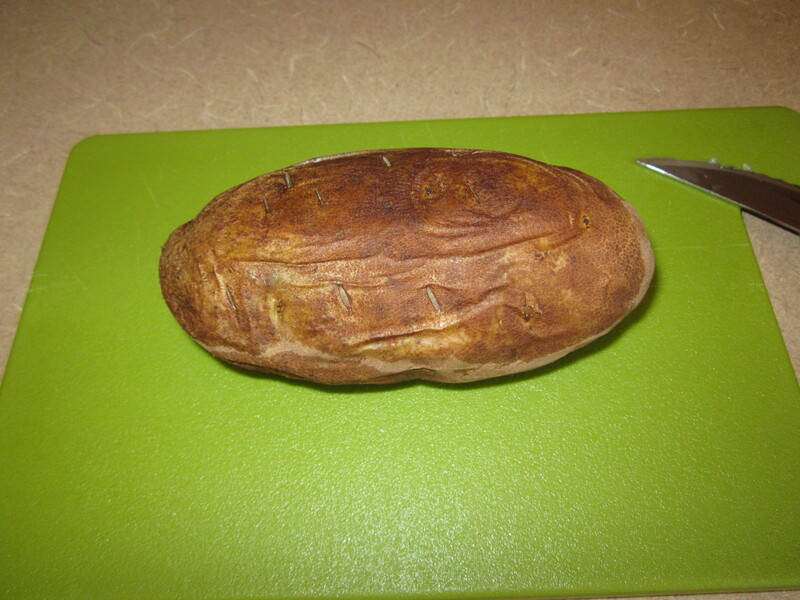 When I was growing up, baked potatoes was a favorite in our house. My mom would bake at least a dozen or so baked potatoes and of course nothing went to waste. 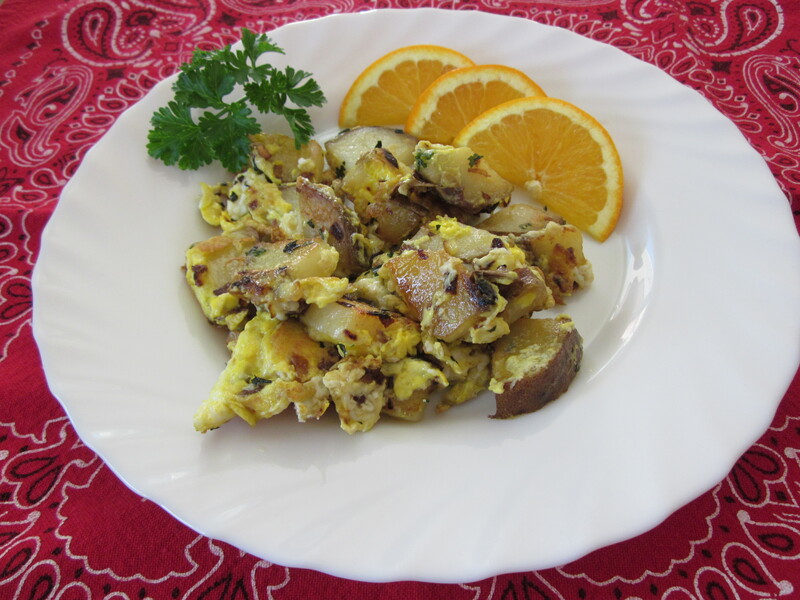 My mother would put the left overs in the fridge and the next couple of mornings we would have fried taters, eggs, and fruit! Thanks mom for passing this on to me! Here is what to do with those leftover baked potatoes. 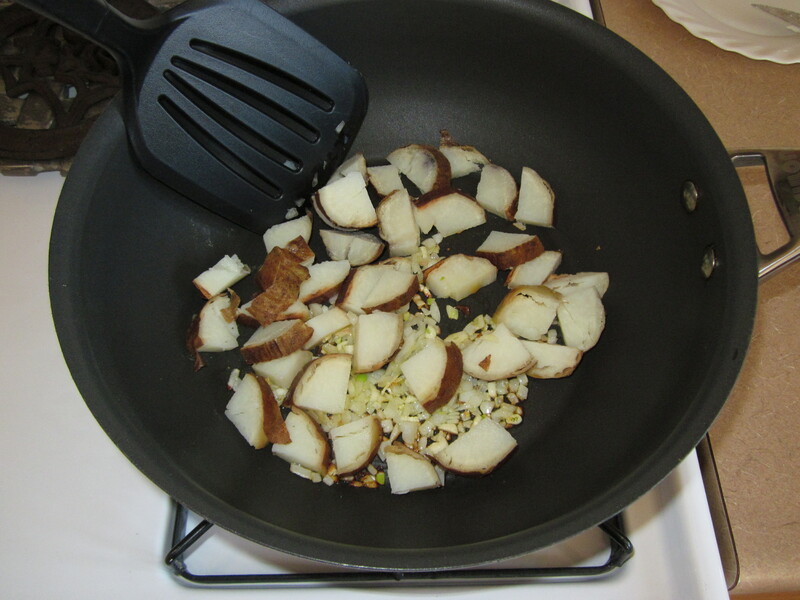 Fry them up in some olive oil, add some chopped onions and garlic. Add some pepper, herbs and an egg if you like. Serve them up for a hearty breakfast. Can’t eat all that fruit you purchased at the market? Do you ever wish you had some fruit on hand when you want a smoothie? 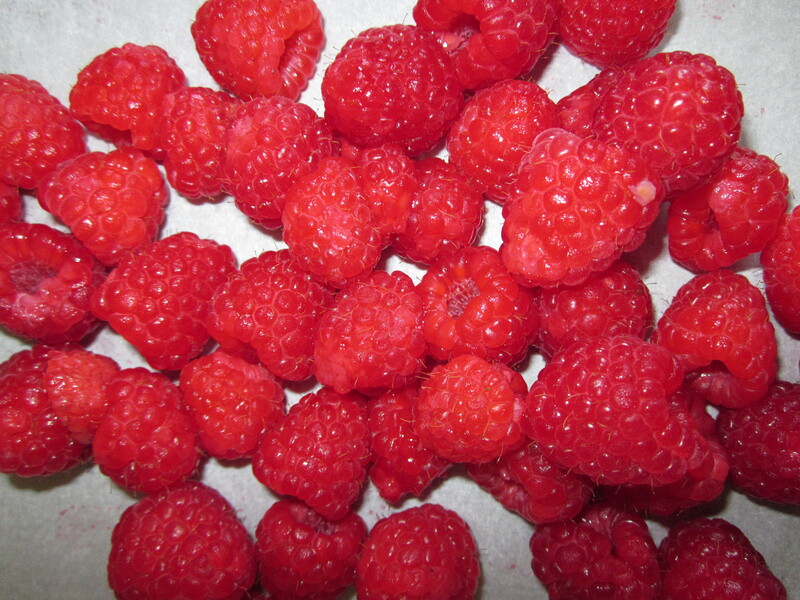 Did you know frozen fruit is a healthy snack for you and the kids? Give your water some flavor with a slice of frozen lemon or lime! 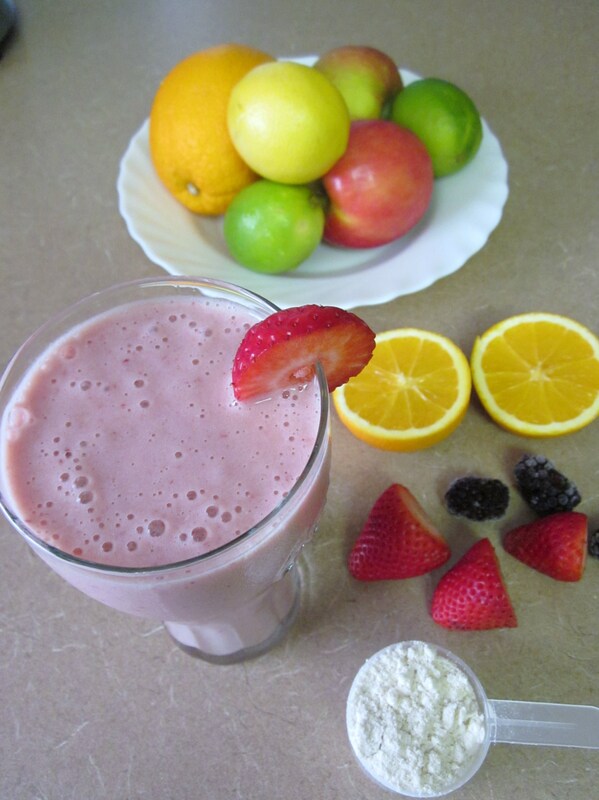 Freeze berries, banana’s, pineapple, oranges and all the other fruits out there. 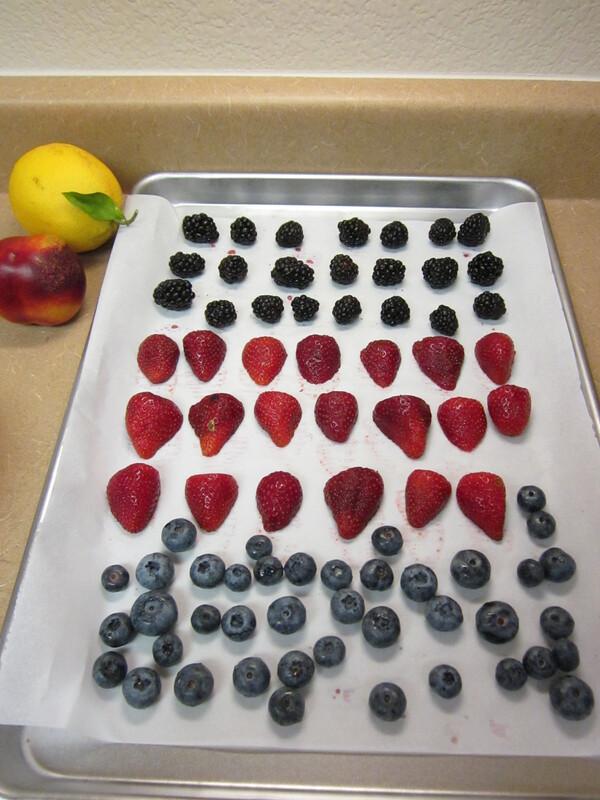 Wash and dry your fruit. Cut or slice into desired size. 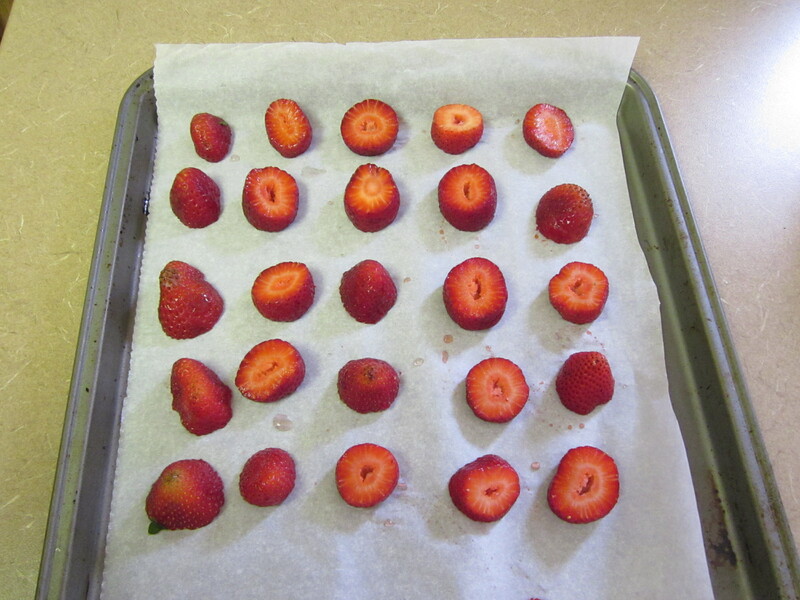 Place parchment paper on a cookie sheet and single layer your fruit on the cookie sheet. Freeze until hard, than transfer to a container. 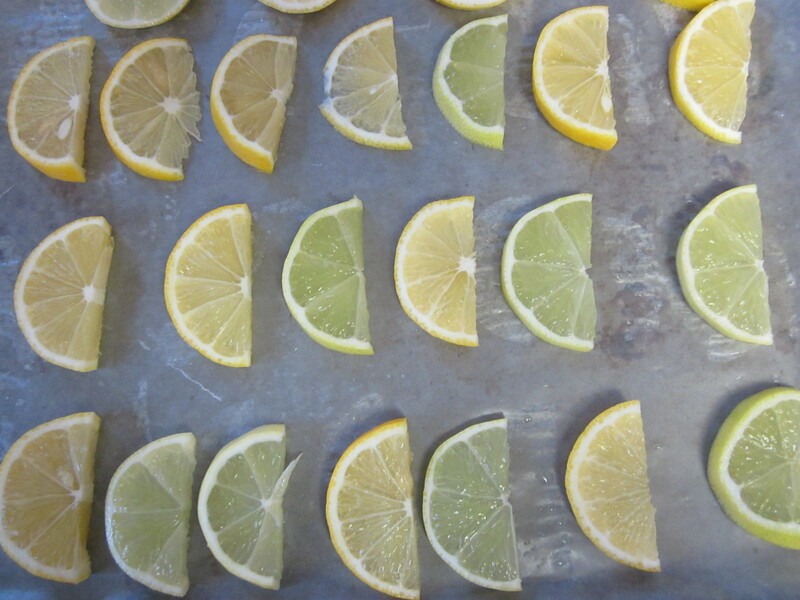 Lemons and limes, wash, dry, and slice. 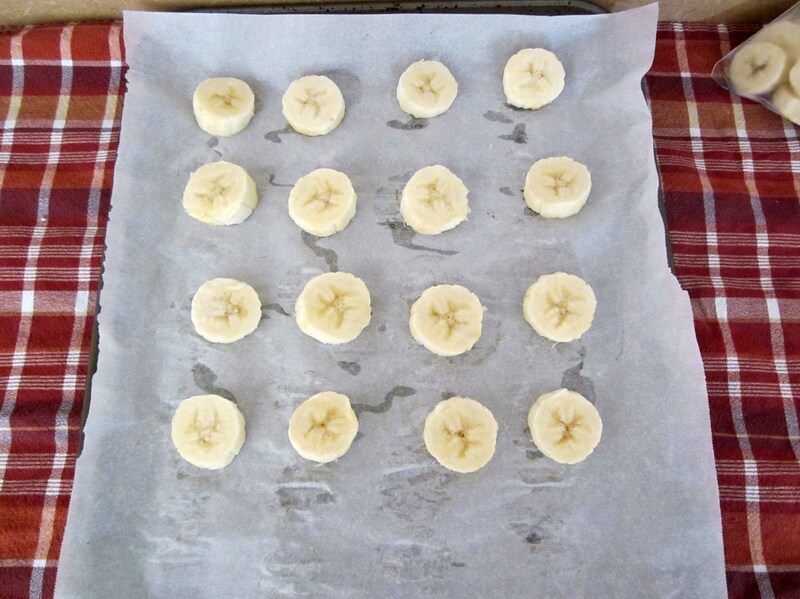 Place parchment paper on a cookie sheet and single layer the slices on the cookie sheet. 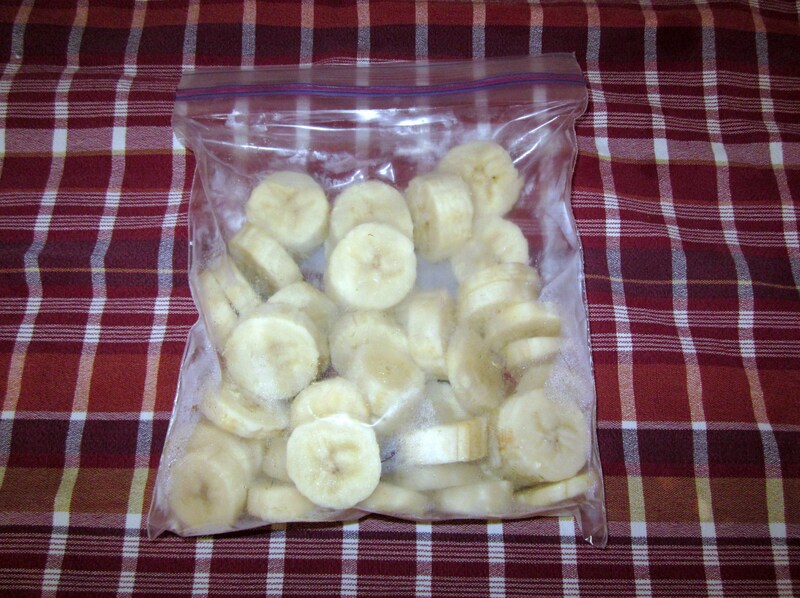 Freeze until hard and transfer to a container. Use frozen lemon and limes to flavor your water instead of artificial flavorings. Here is a great dish to make on the grill that is vegetarian too. 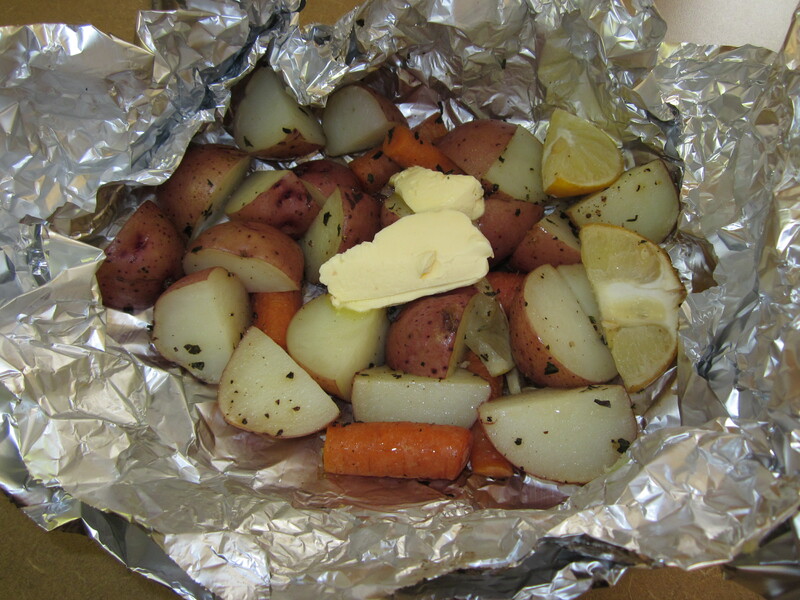 Foil Packets also known as “Hobo Packs” are a great way of roasting potatoes and vegetables on the grill. 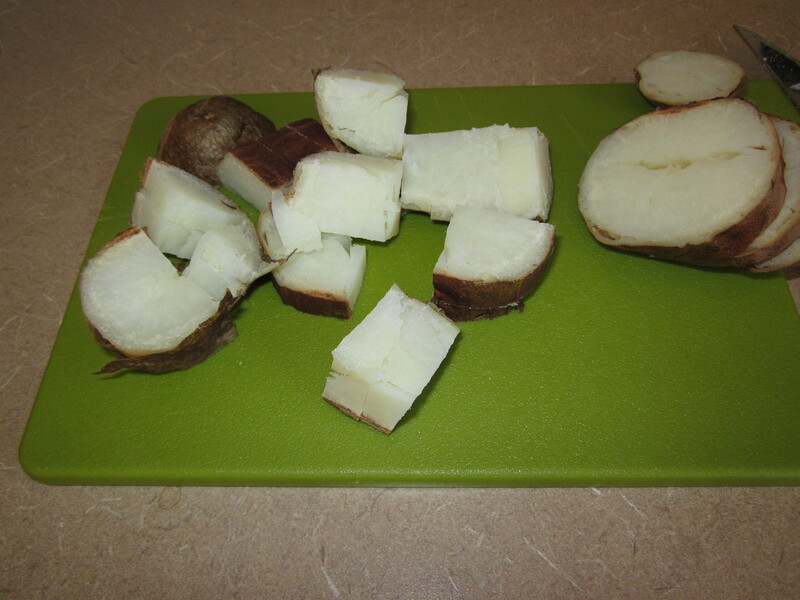 Just cut up your potatoes and whatever veggies you have on hand such as onions, carrots and so on. Add oil, herbs, maybe a splash of beer and seasonings to the mixture. Place the mixture on non-stick foil add a dab of margarine and wrap. Cook on the grill, in the oven or on an open campfire! Yum! Peaches at the Farmers Market 1/2 off at closing time! 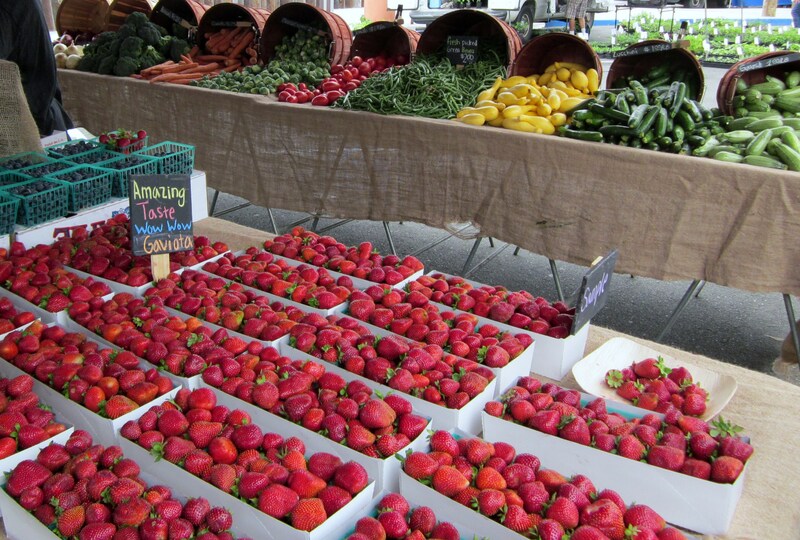 My husband and I love going to the weekly Farmers Market in Redondo Beach, right next to the ocean. 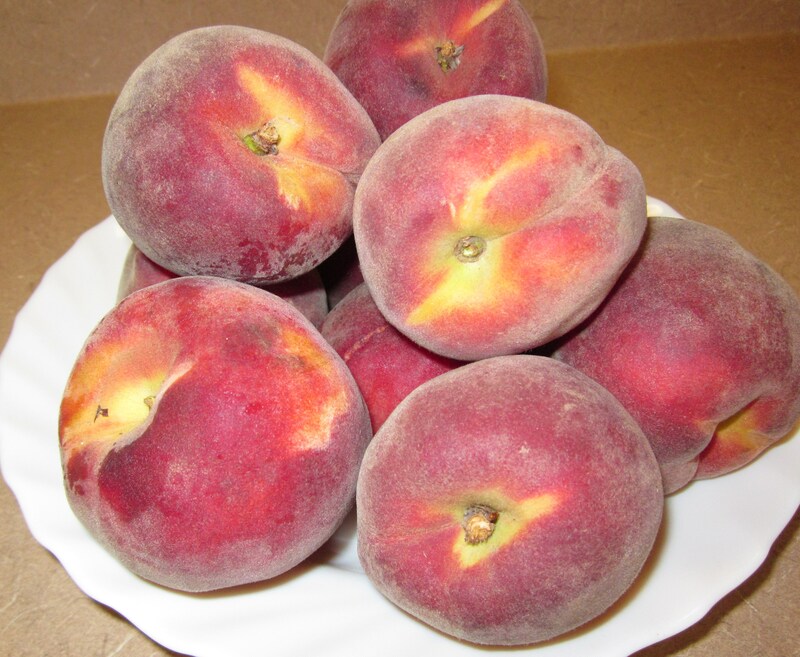 Our main mission this week was to buy peaches. We arrived 45 minutes before closing but there were just too many people at the peach stand. So we moved swiftly through the market to purchased other items. Quickly we walked back to the peach stand and just as we approached, the vendor made an announcement that all peaches are 1/2 off. The vendor explained to us that at about 30 minutes prior to the market closing down, most vendors will slash prices for a quick sale, to avoid trucking the items back to the farm. So, keep this in mind next time you arrive late to the Farmers market. There are deals to be found! 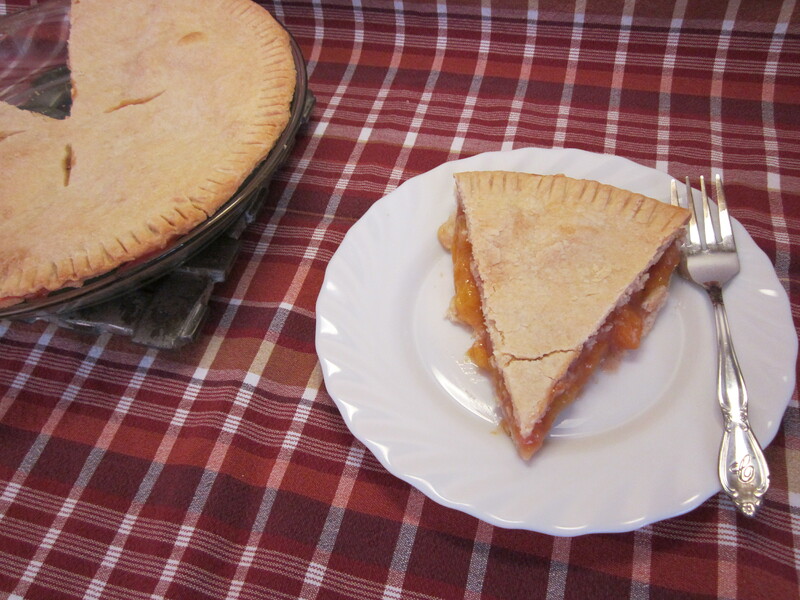 My husband made a delicious peach pie.